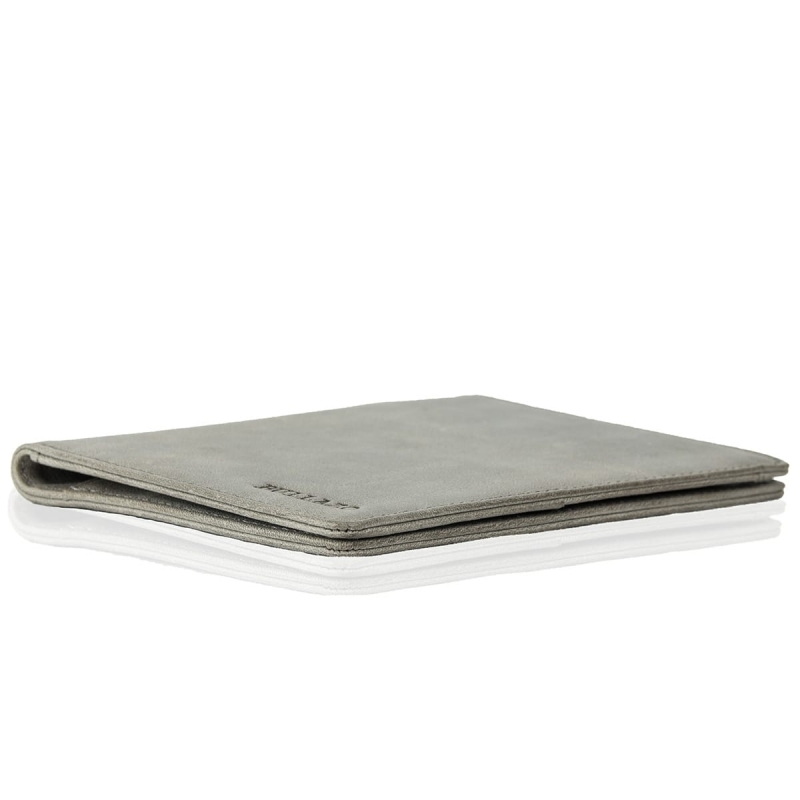 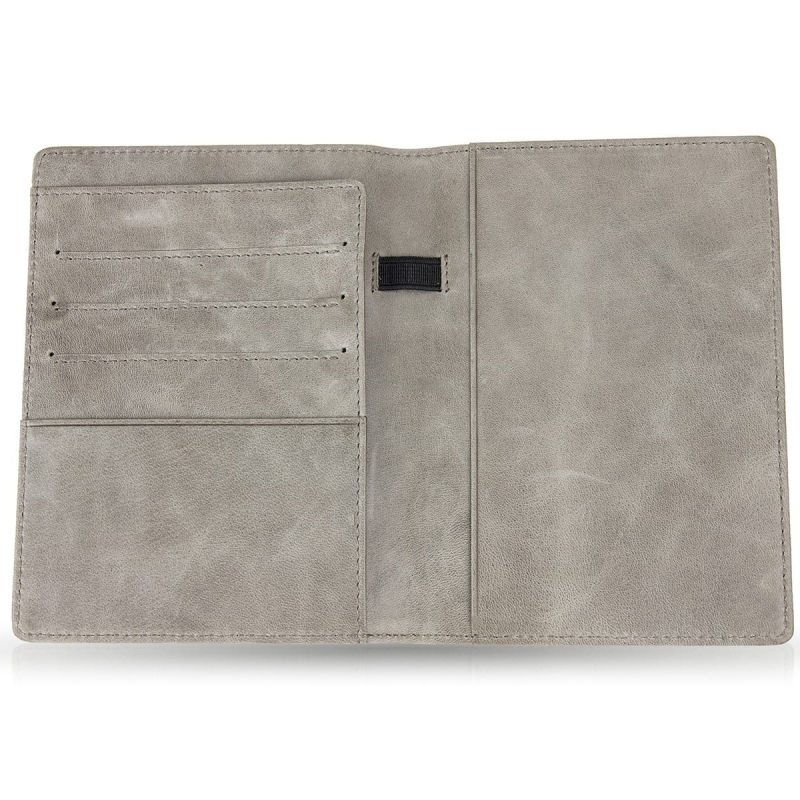 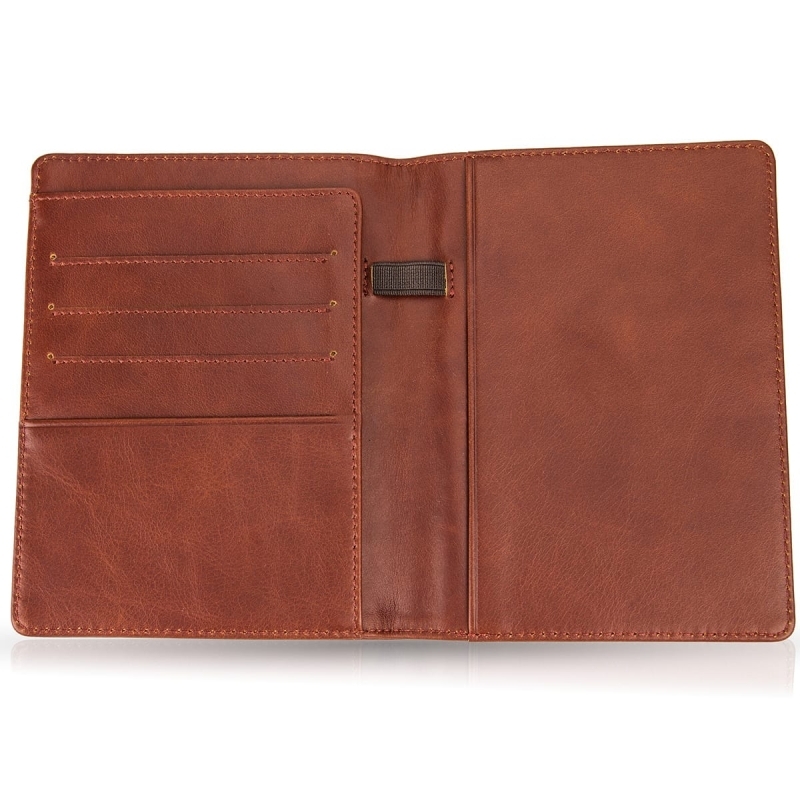 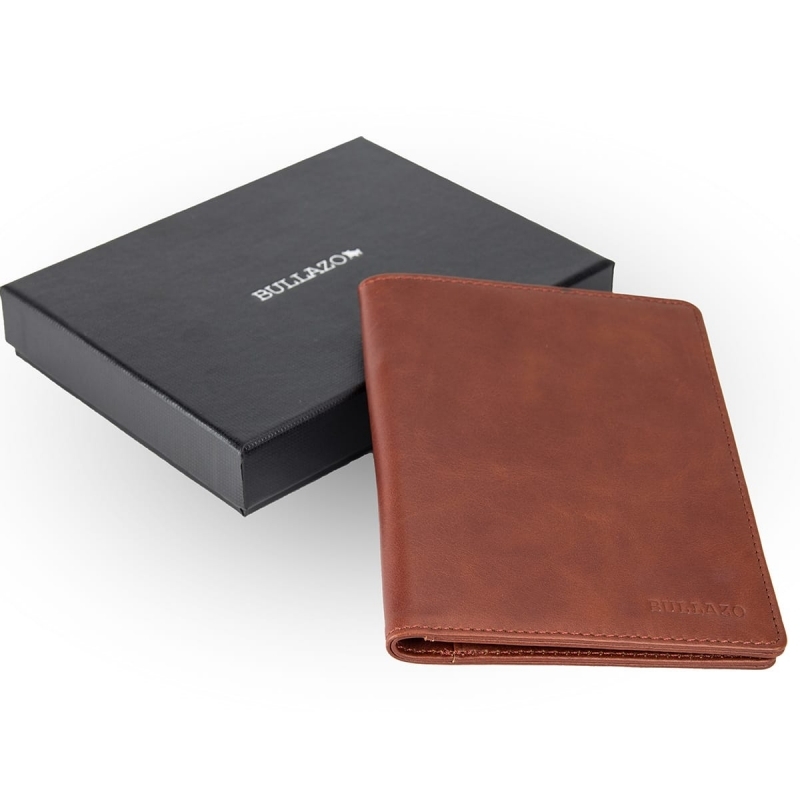 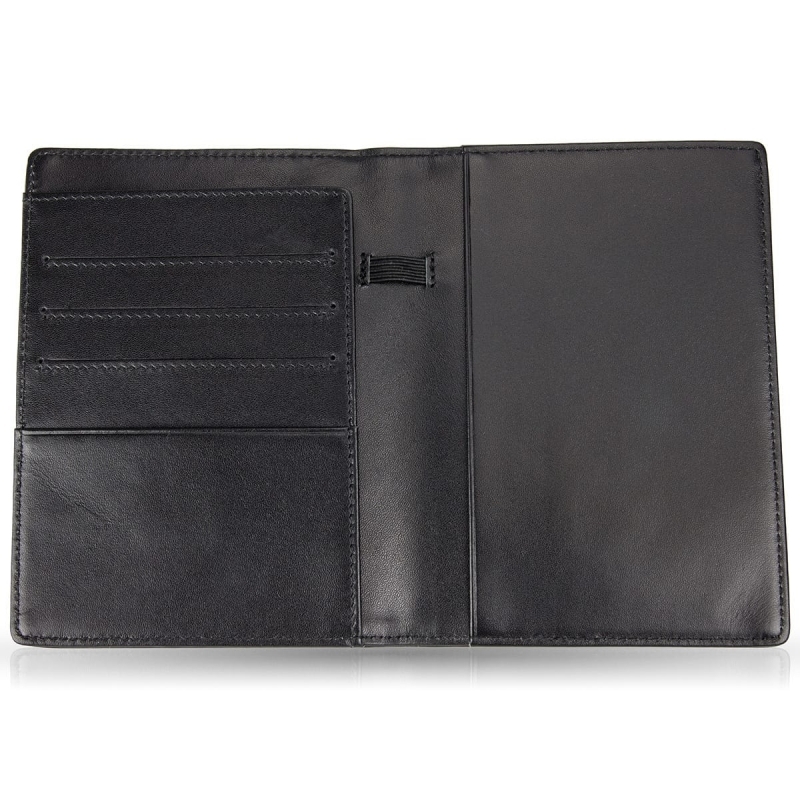 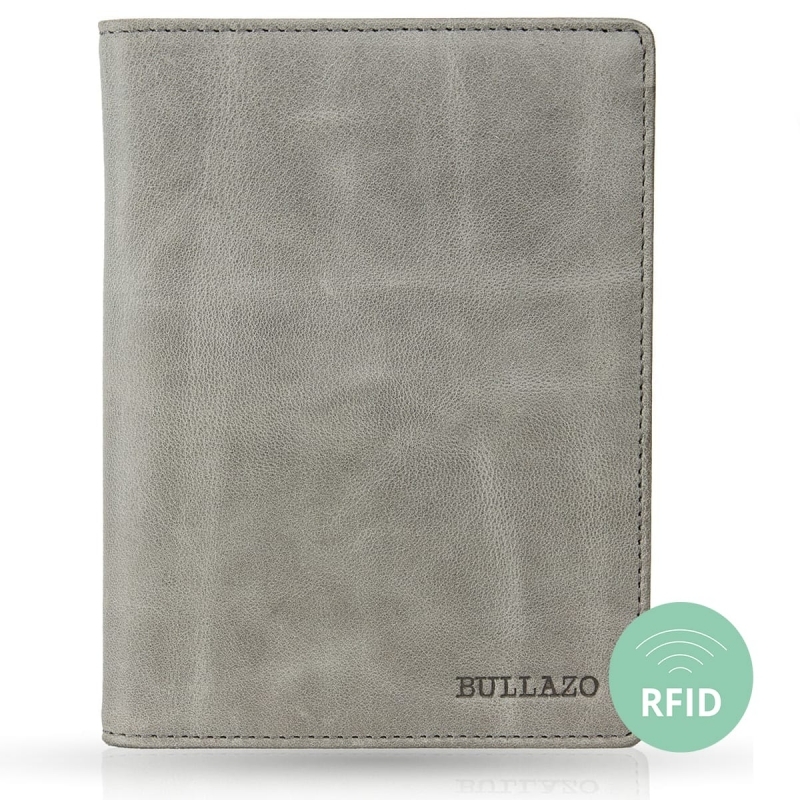 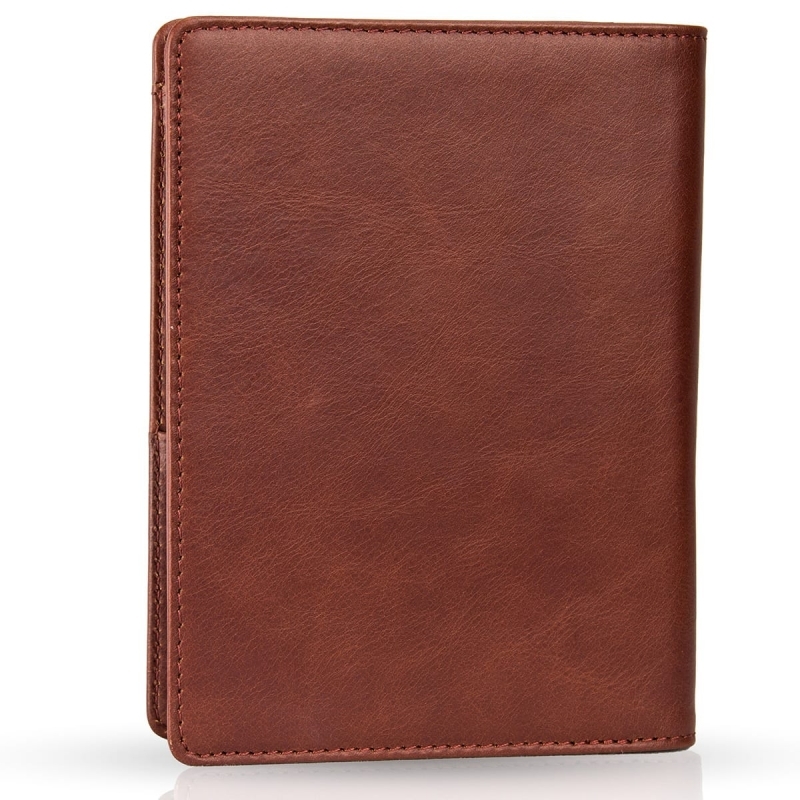 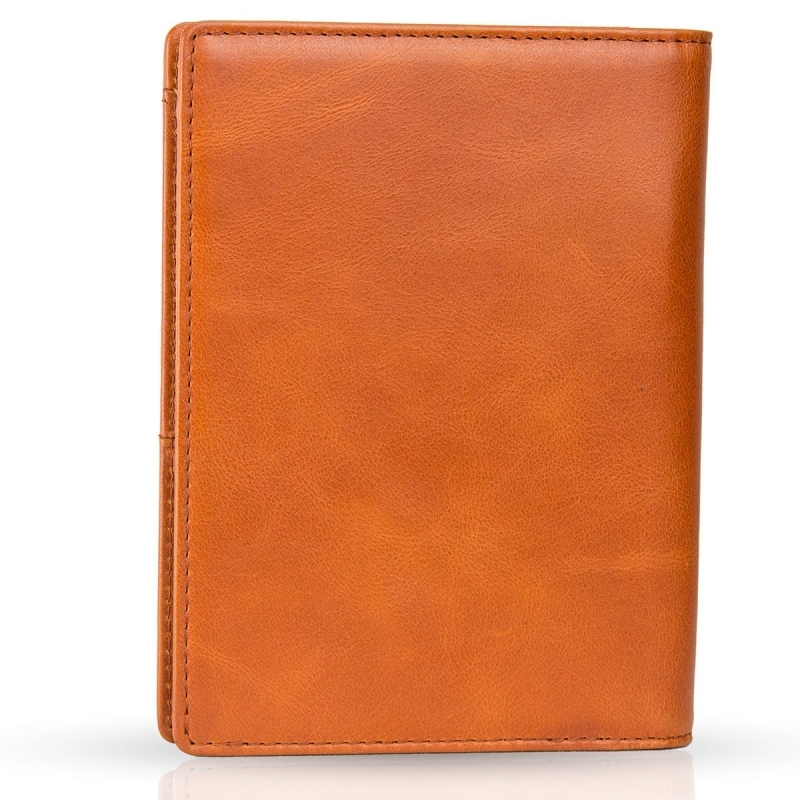 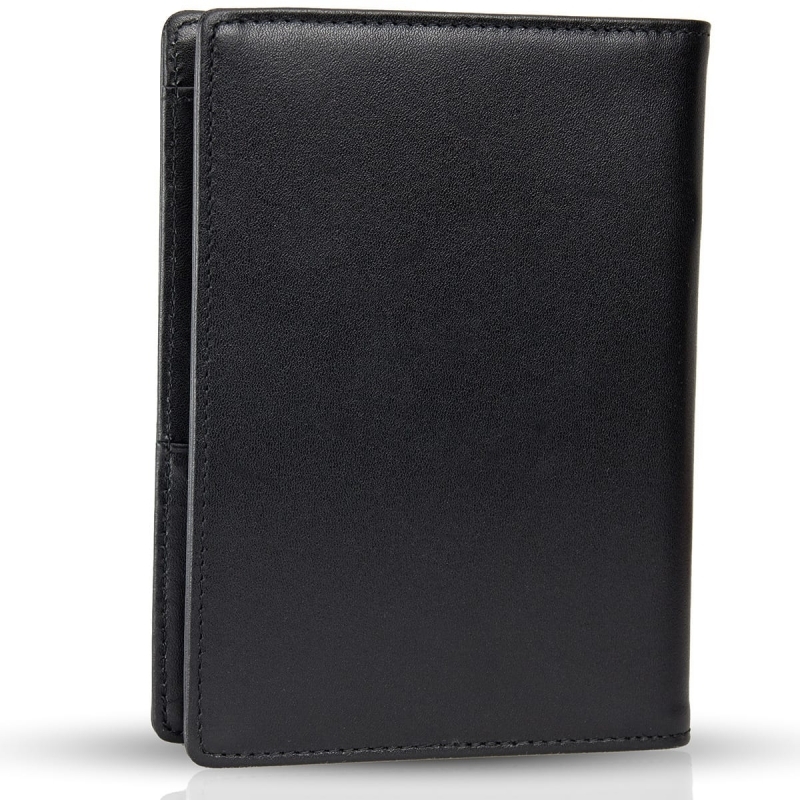 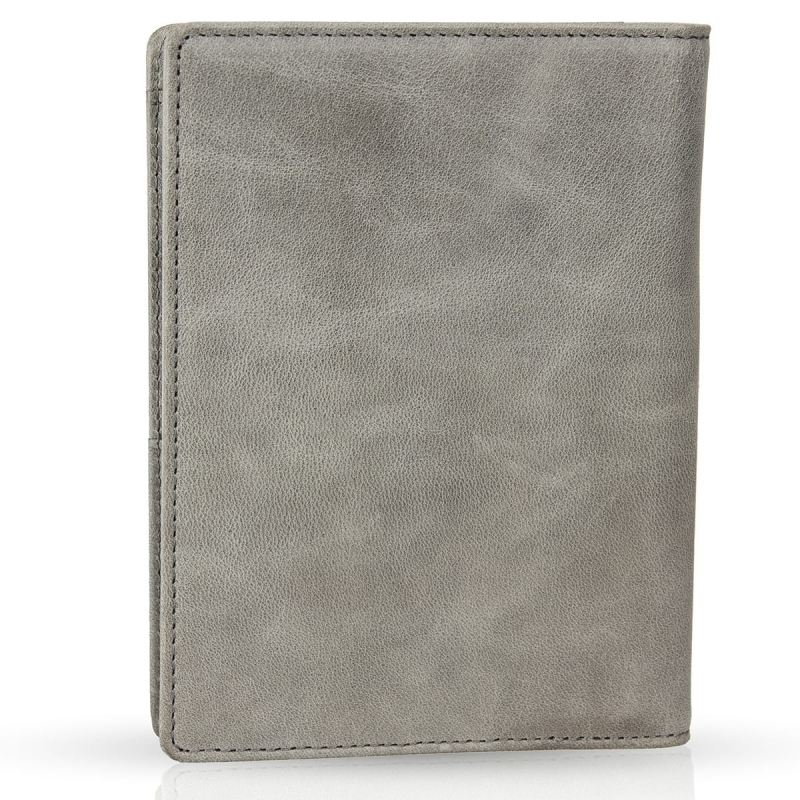 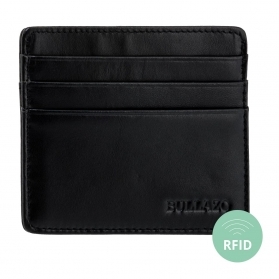 Combine a protection cover for your passport and a travel wallet in a stylish way with the BULLAZO PLANO MINI passport case. 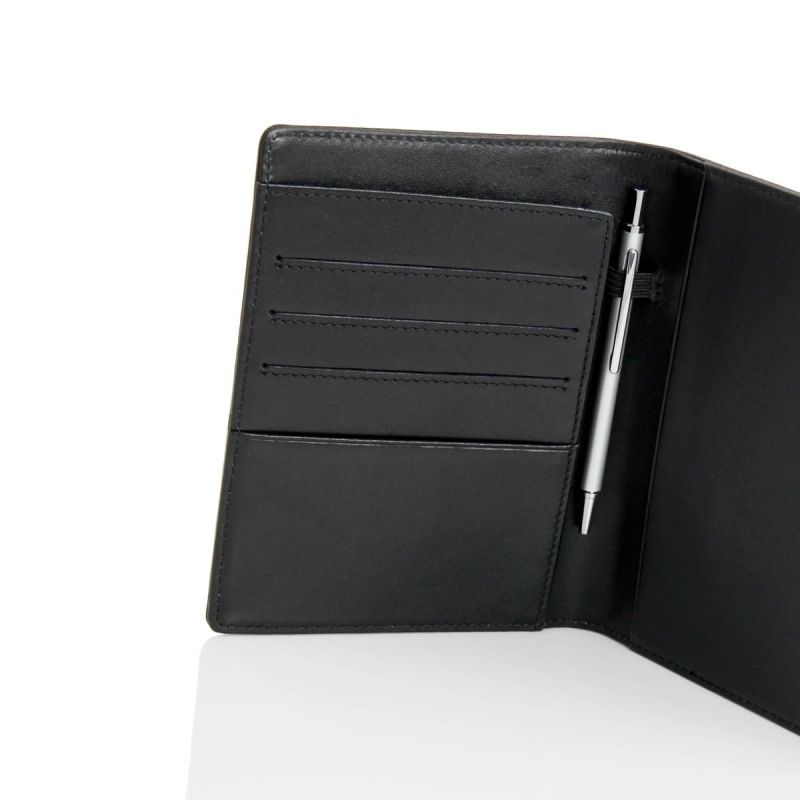 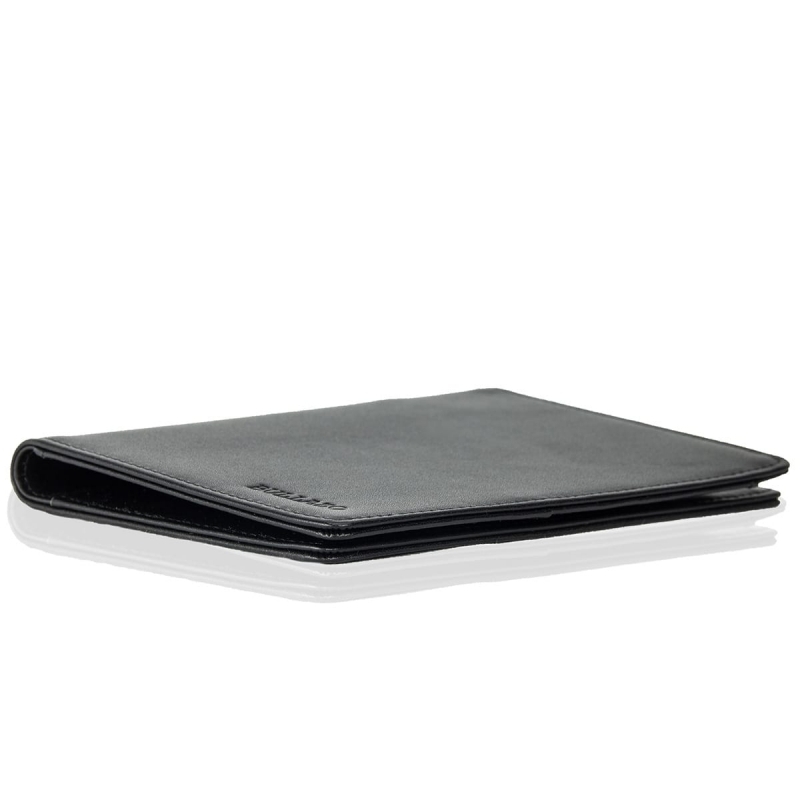 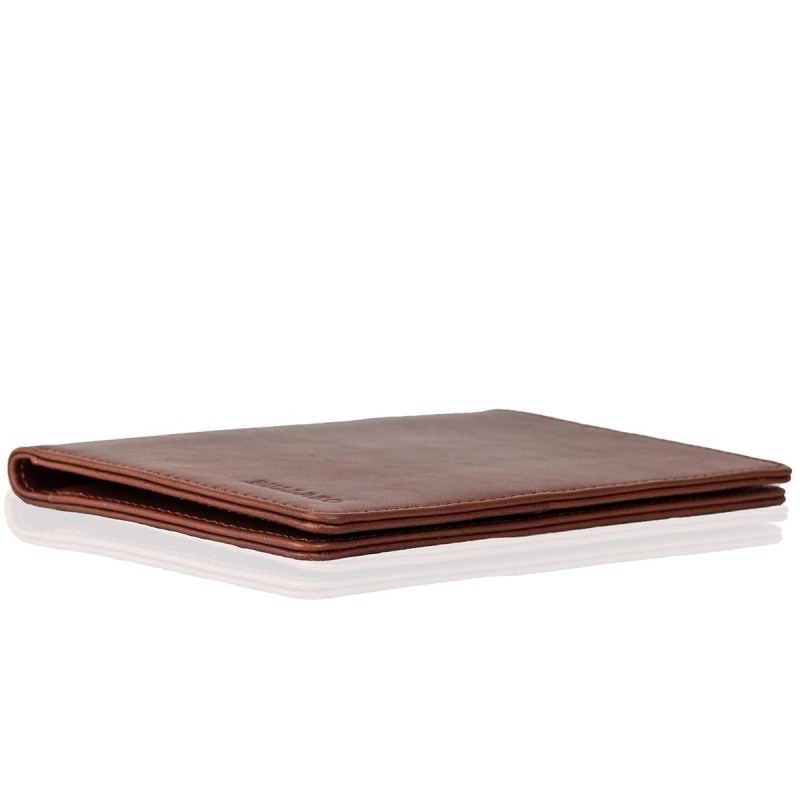 There’s enough space for your cards and bank notes. 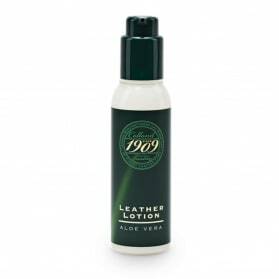 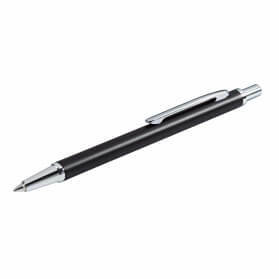 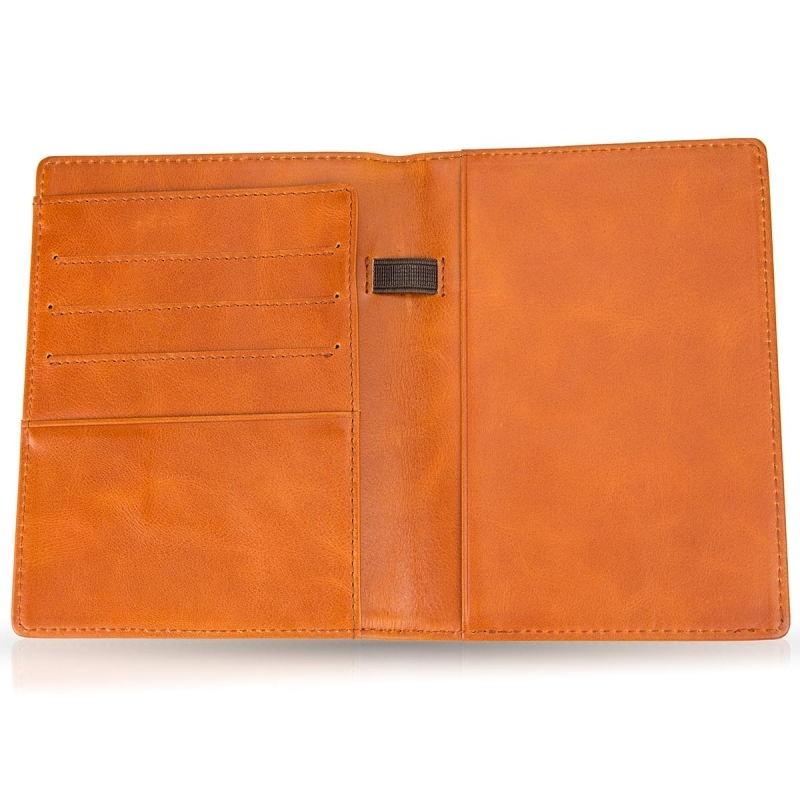 It is made from premium genuine leather and high quality stitching. 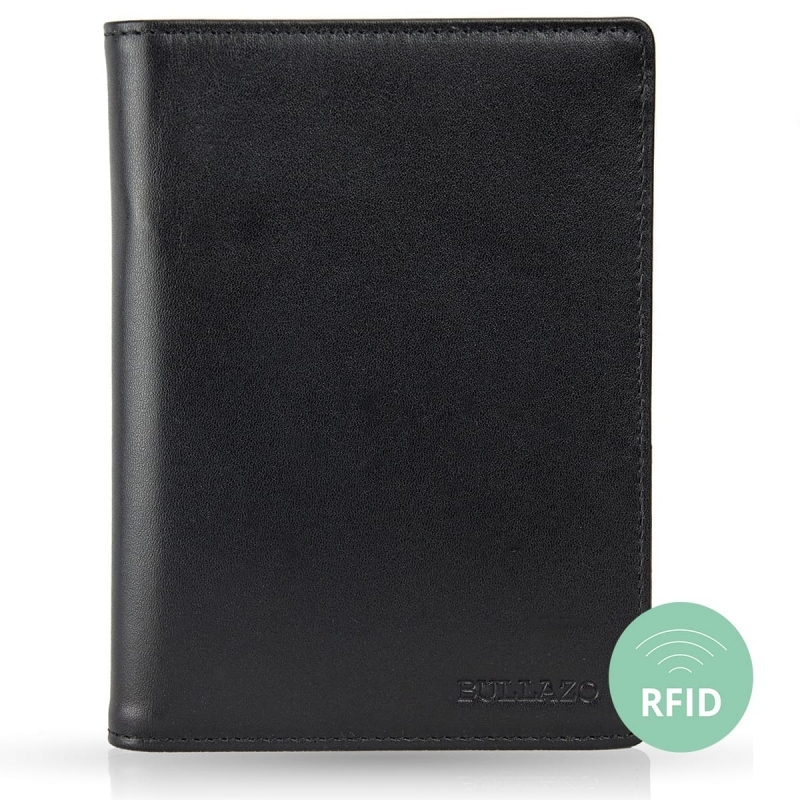 To protect yourself and your personal and private data, the PLANO MINI comes with integrated RFID protection. 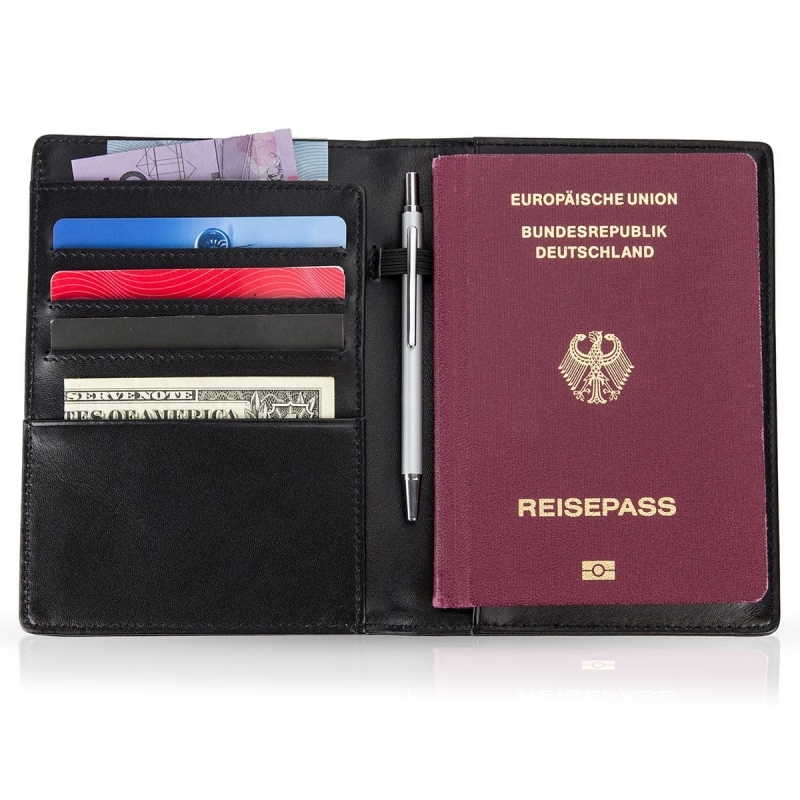 Whether travelling for business or driven by your personal wanderlust: with its classic and elegant business look, the PLANO MINI is the perfect companion for your next journey. 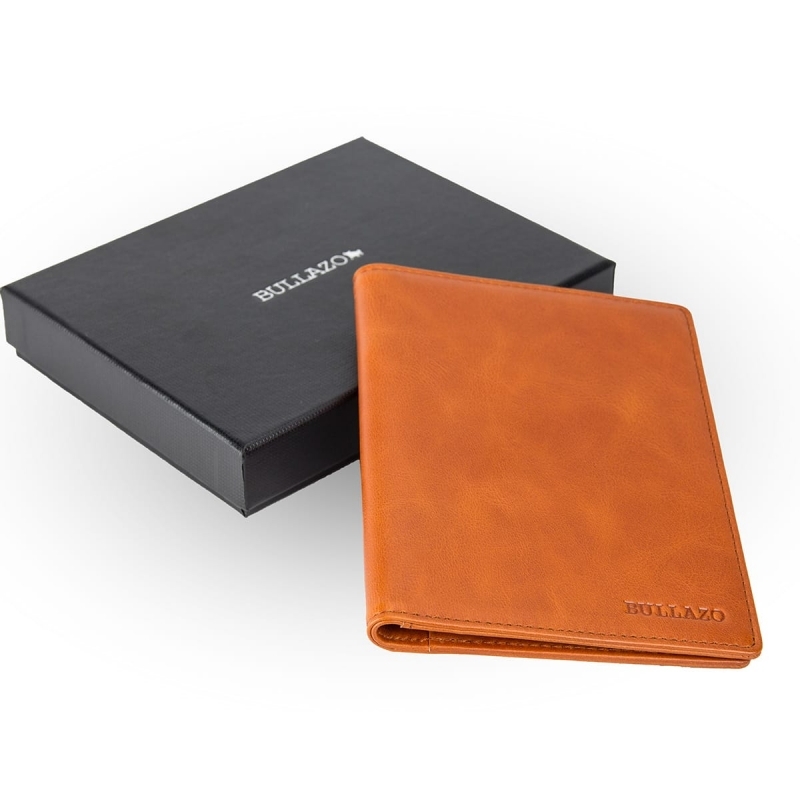 Reward yourself or your loved ones! 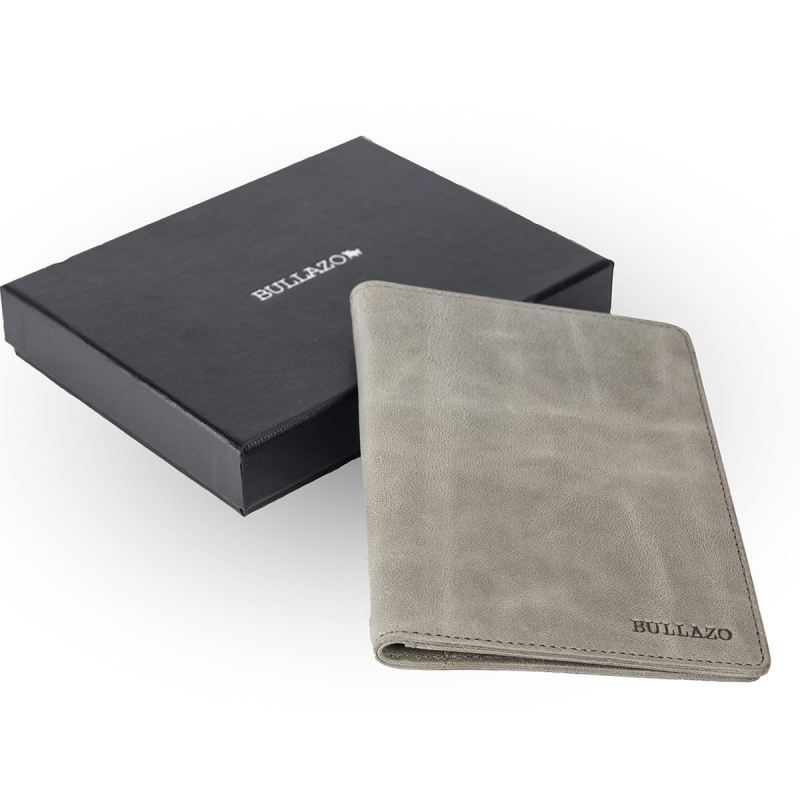 Each BULLAZO product comes elegantly presented in a specially-designed presentation box. 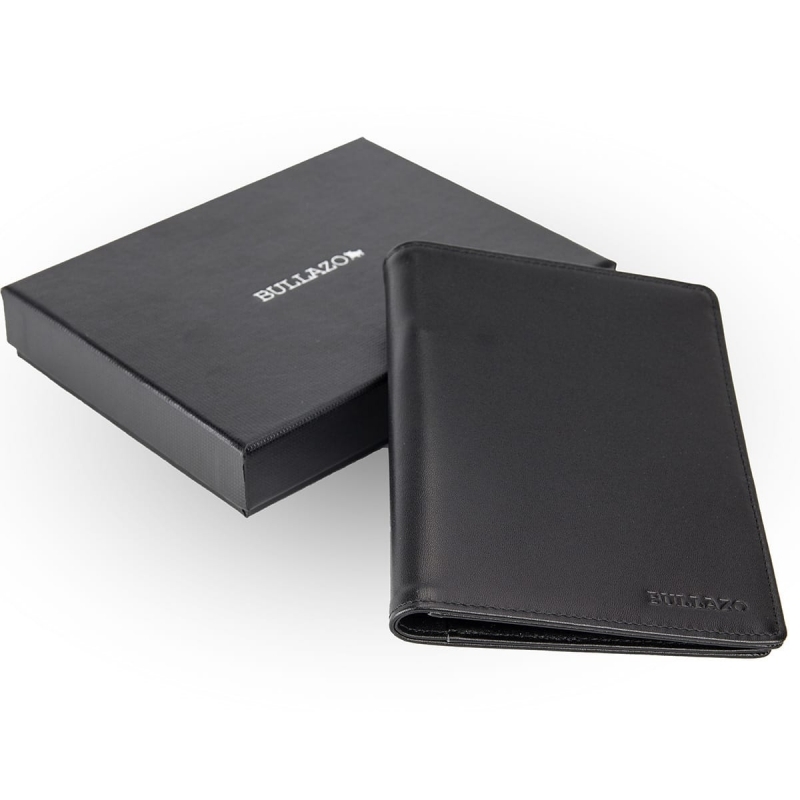 With an engraving option, it is the perfect gift. 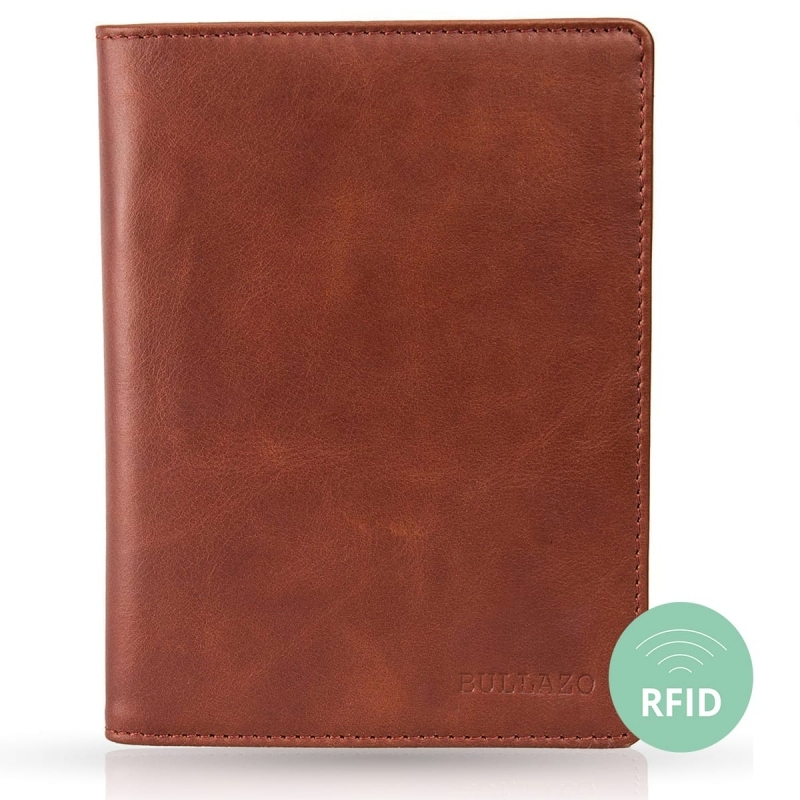 High-quality and practical: this is our PLANO MINI case. 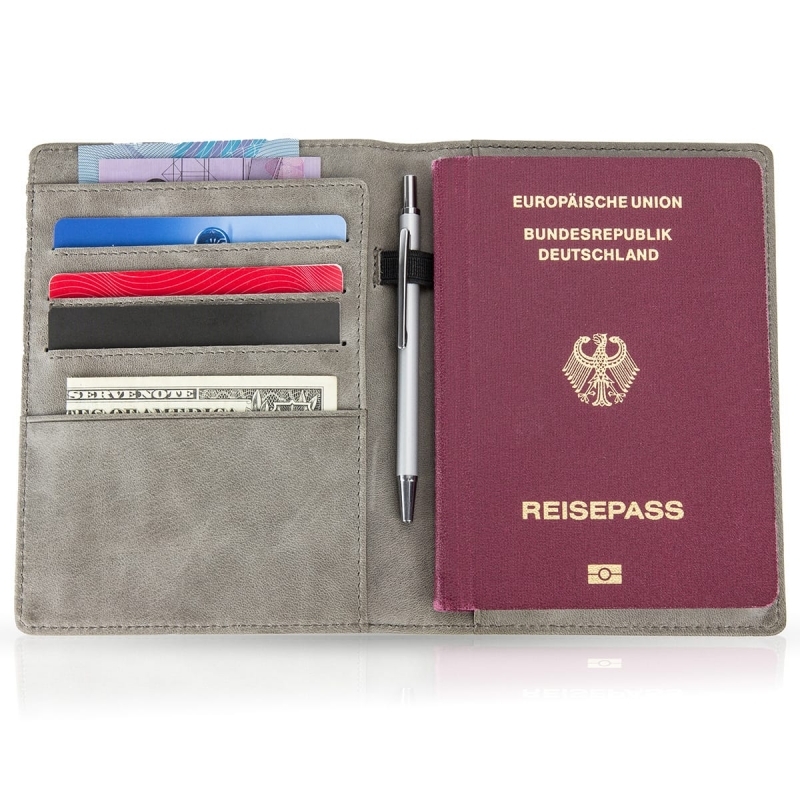 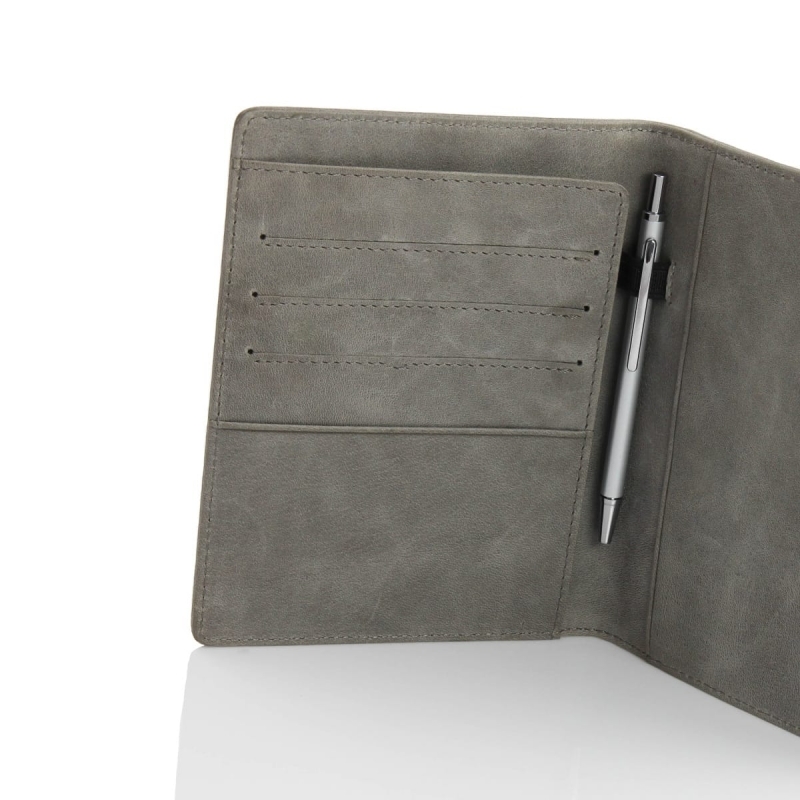 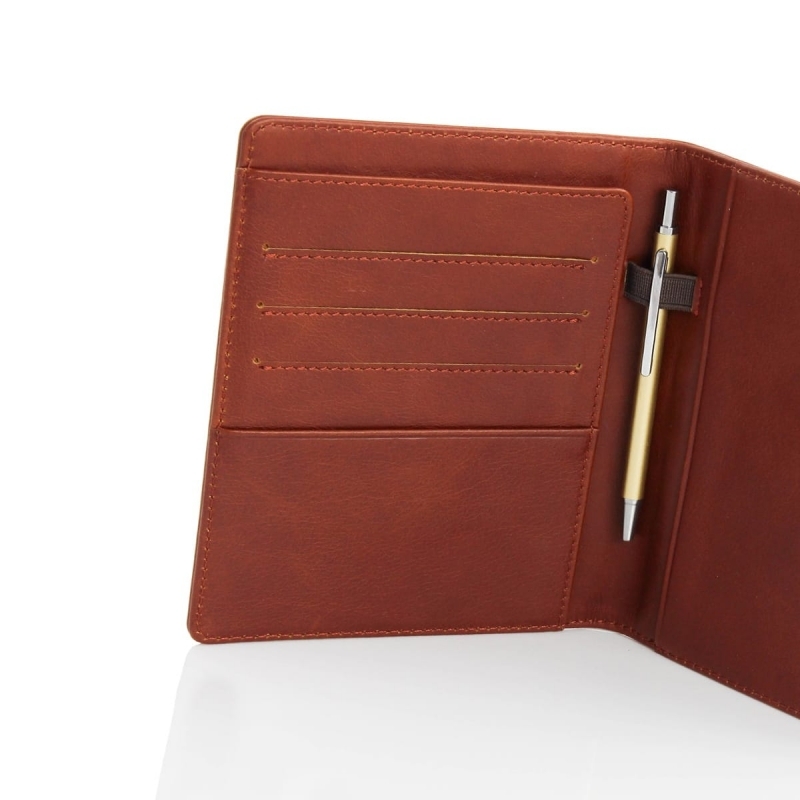 In passport size, it offers additional space for many cards and a small pencil, the Piccolini Mini. 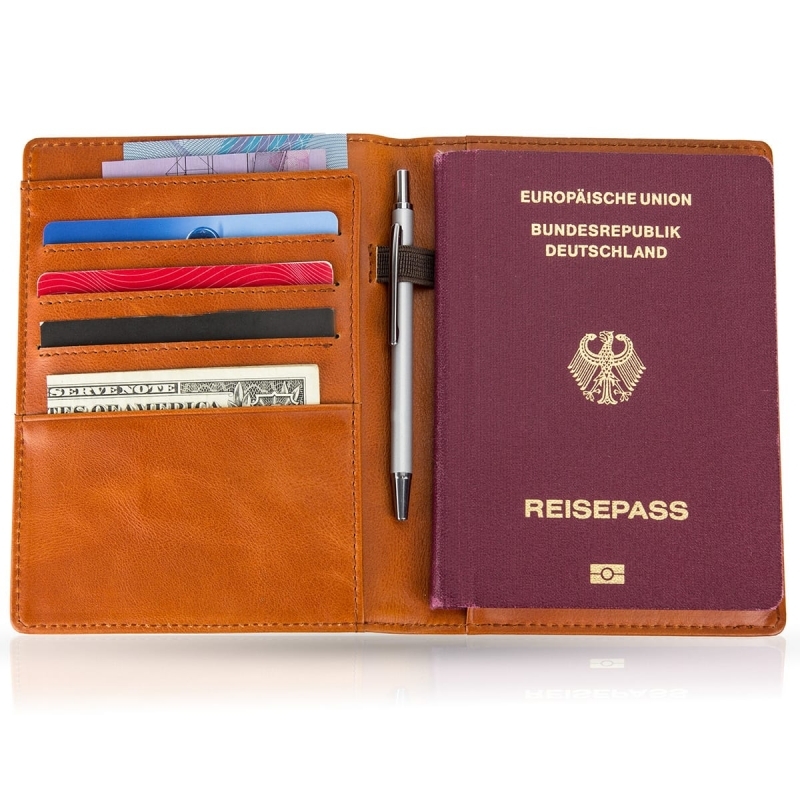 Convincing details - whether on a business trip, on holiday or in everyday life. 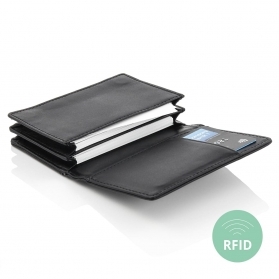 The integrated and invisible RFID shielding protects personal data stored on ID, credit card or bank card from unwanted reading. 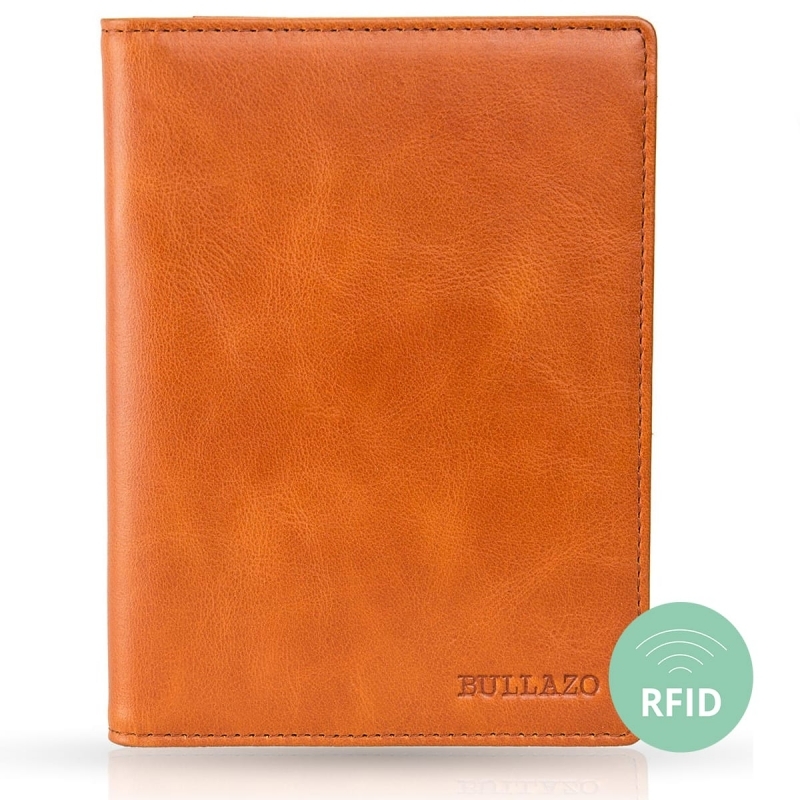 First-class leather and high-quality stitching as with all BULLAZO leather classics. 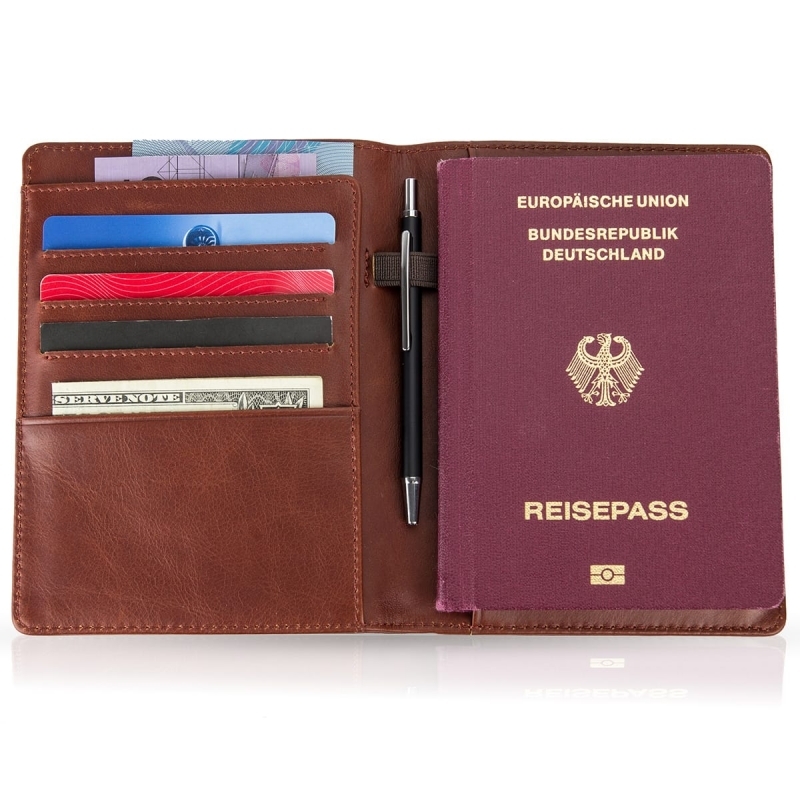 Available in cognac brown and black.